Stephen D. Henninger - Fanning Harper Martinson Brandt & Kutchin, P.C. - Fanning Harper Martinson Brandt & Kutchin, P.C. 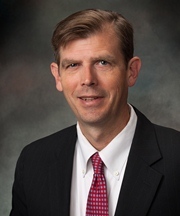 Stephen Henninger rejoined Fanning Harper Martinson Brandt & Kutchin, P.C. in 2013, having previously worked at the firm from 1999 – 2007. His practice areas include governmental liability, constitutional and civil rights law, employment law, construction litigation, products liability, insurance law, and professional liability. Co presented with Thomas P. Brandt and Nichole Plagens a Live Webcast through the Texas Bar CLE focused on Police Excessive Force Litigation and Issues Post Ferguson, focused on, among other things, the challenges law enforcement officers and their defense counsel face in trying to obtain a fair trial. Presented speech to State Bar of Texas Annual Suing and Defending Governmental Entities Course on Immunity for Individuals. Presented speech to State Bar of Texas Annual Suing and Defending Governmental Entities Course, Federal Immunity for Individuals. Presented speech to Texas Municipal League Attorney Workshop, Individual Immunity-Federal.